“I am really happy with my transformation. I have achieved a lot more than I actually thought I would when I first started. The knowledge at Phoenix on exercises and the science involved really impressed me. My sessions often feel similar but each of them have very subtle differences which I just wouldn’t have been able to plan for myself. The subtle differences in all my workout plans helped me to achieve what I have achieved. I train in my own time and Scott writes the programmes for me. I have to stay disciplined and I do struggle at times but I am sticking to it and the results are speaking for themselves. 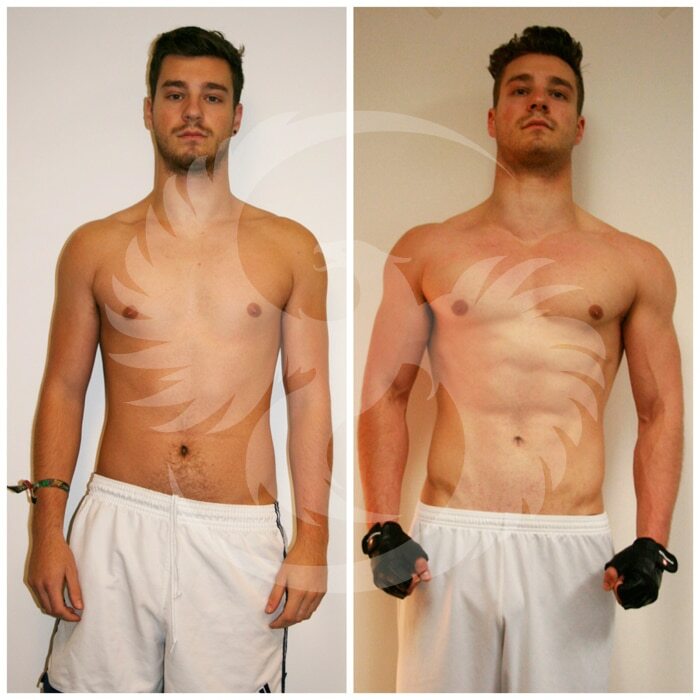 I would seriously encourage anybody who wants to change their body shape to speak to the guys at Phoenix, they really do know what they are doing and I have full confidence in them as a trainers. Dave came to us wanting to put on muscle. He actually only came to see us once every week and this was just so that we could take measurements and re-write his training plans accordingly. He trained on his own 4 times per week following our advice. His before and after photo’s show that you don’t have to spend a lot of money and train with us the whole time to achieve good results. 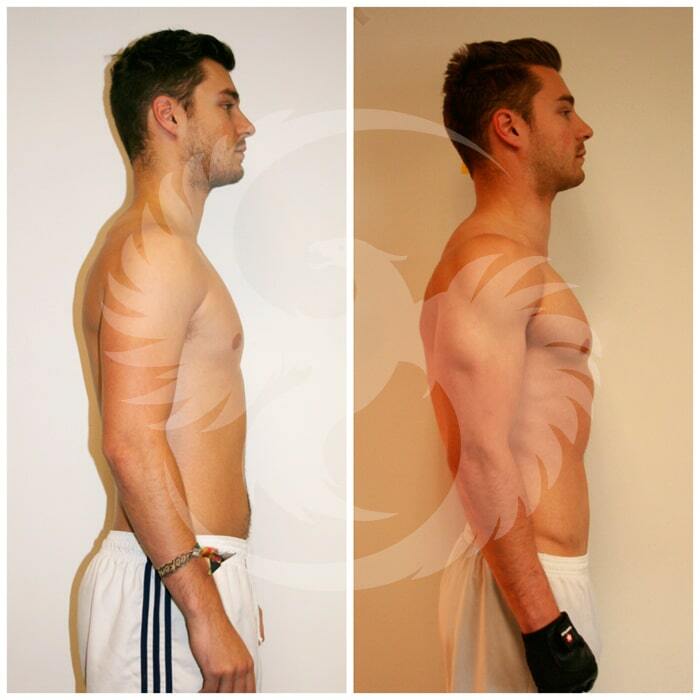 With our advice and training programmes he achieved this awesome transformation in just 16 weeks.